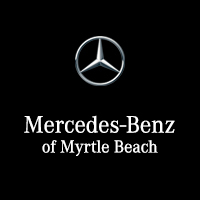 Mercedes-Benz of Myrtle Beach has a great selection of new Mercedes-Benz vehicles. View Mercedes-Benz of Myrtle Beach’s wide selection of Pre-Owned Vehicles. Reserve a time online today to bring your vehicle to our Mercedes-Benz certified technicians. 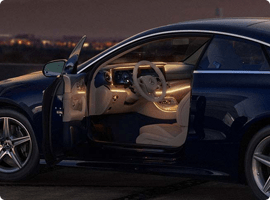 Mercedes-Benz of Myrtle Beach promises you a fair price for your current vehicle. 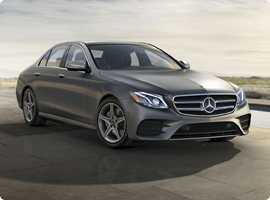 Explore the full lineup of new Mercedes-Benz vehicles in the Mercedes-Benz of Myrtle Beach showroom, and find the car or crossover that perfectly satisfies your driving needs and wants. We also have an extensive inventory of pre-owned vehicles on site, including options from other luxury brands. These vehicles are of a consistently high quality but priced to fit into any budget. If you are looking for a new Benz, they will make you a deal. Friendly staff. This is a good place with to fierce German automaker competitors under one room. Nice to see the two can work together! Genuine people, friendly, courteous, and efficient. There is nothing quite like a Mercedes-Benz. These iconic automobiles offer drivers exhilarating levels of performance combined with impeccable levels of luxury. It’s for that reason that so many discerning drivers from Pawleys Island, Sunset Beach, Ocean Isle Beach, North Myrtle Beach, and Murrells Inlet choose to drive one. Explore the full lineup of new Mercedes-Benz vehicles in the Mercedes-Benz of Myrtle Beach showroom, and find the car or crossover that perfectly satisfies your driving needs and wants. We also have an extensive inventory of pre-owned vehicles on site, including options from other luxury brands. These vehicles are of a consistently high quality but priced to fit into any budget. After you’ve found something that you’re excited to start driving, work with our professional financing department. They are committed to getting you approved for an auto loan in less time and with less hassle and confusion. Our service department is also here to serve you better. Rely on a state-of-the-art facility and some of the area’s finest technicians to handle all your ongoing maintenance and repair needs.At Mercedes-Benz of Myrtle Beach, your complete satisfaction is our one and only priority. No matter how large or small your needs may be, we will do everything possible to ensure you have a stellar experience at our dealership. Work with our top-notch team Monday through Saturday, or contact us at any time to get information, advice, and expertise.